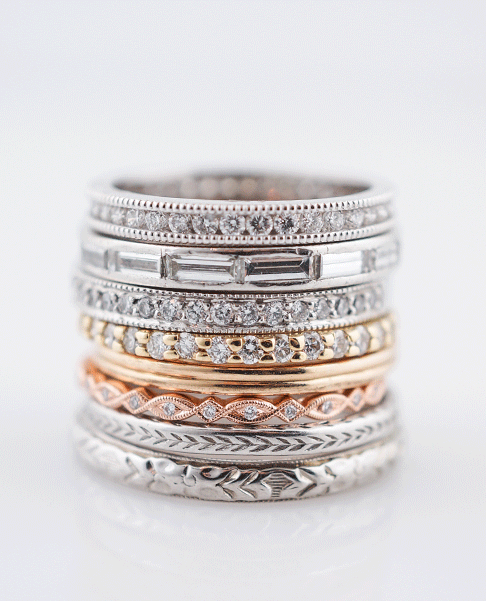 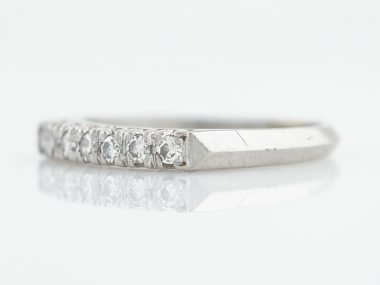 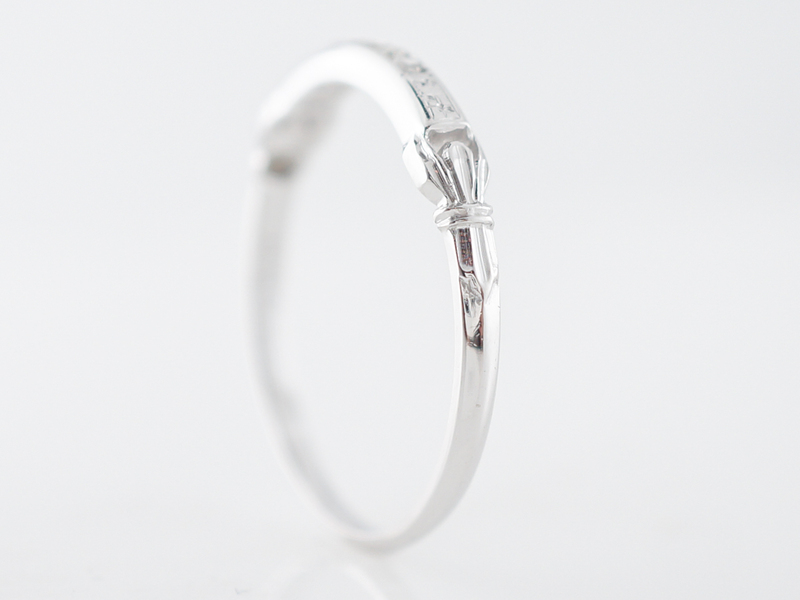 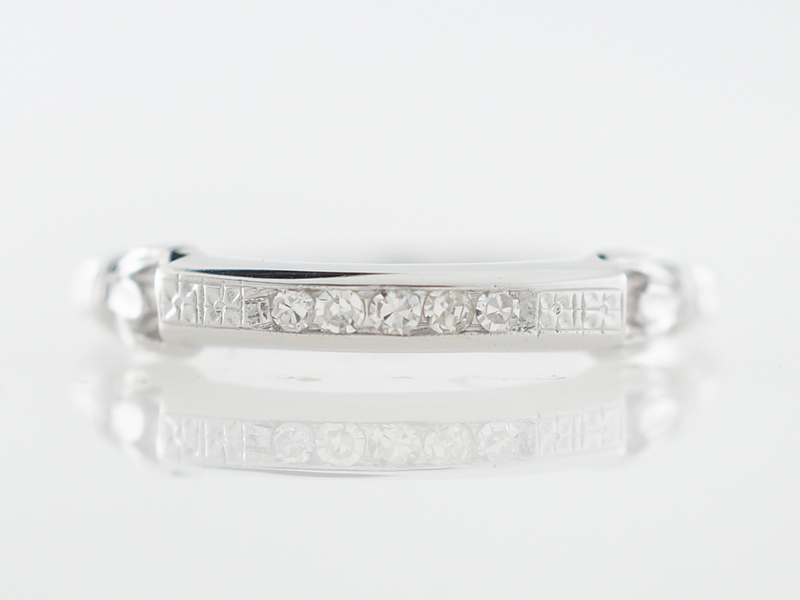 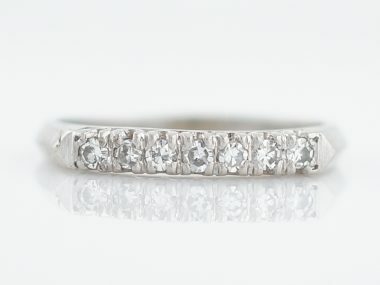 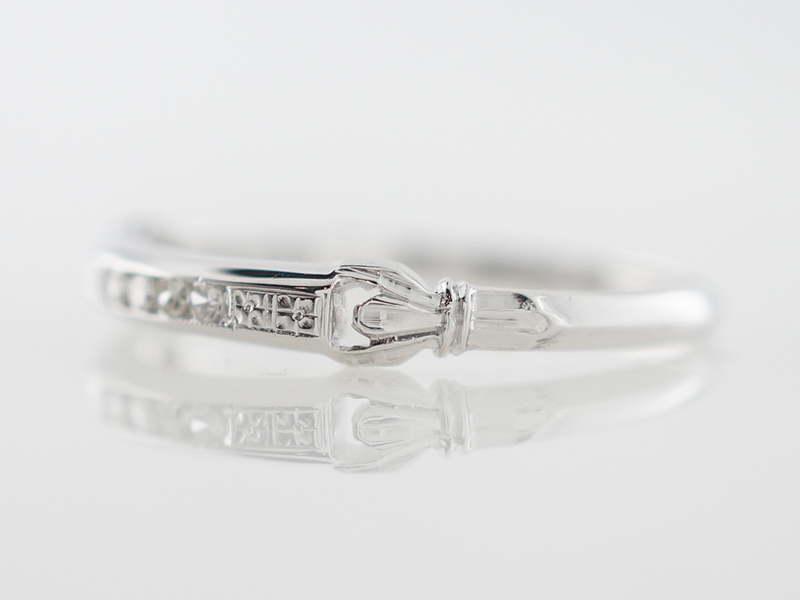 This original Art Deco wedding band is finished in 18k white gold and features .08 carats of single cut diamonds. 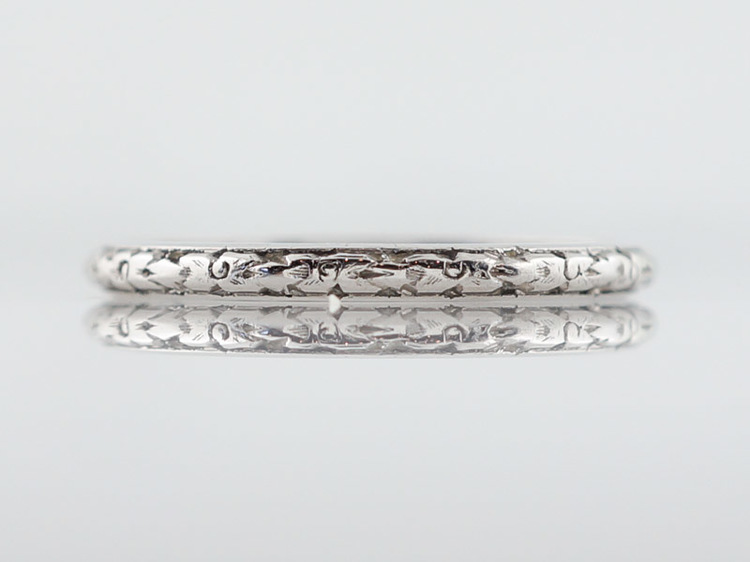 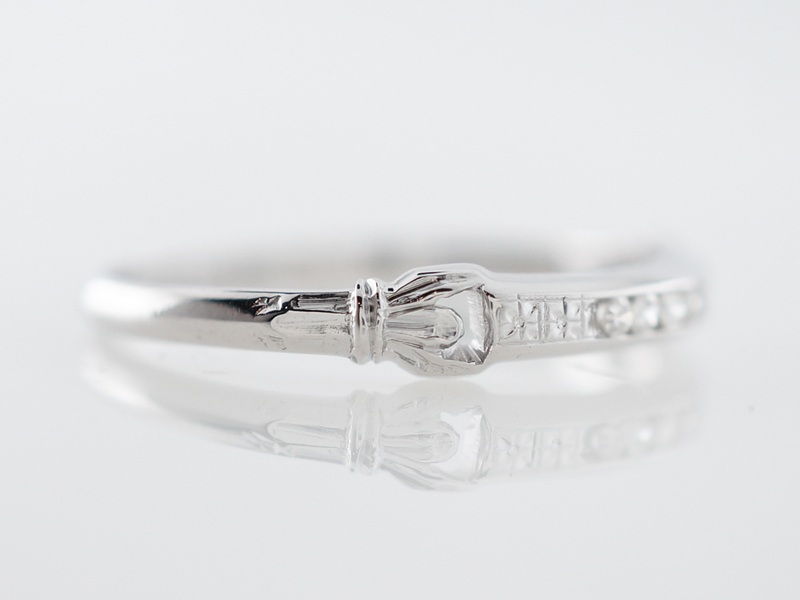 The top of the ring also has a beautiful geometric orange blossom pattern at each end and the shoulders have gorgeous open metal work, giving the ring a bit of character. 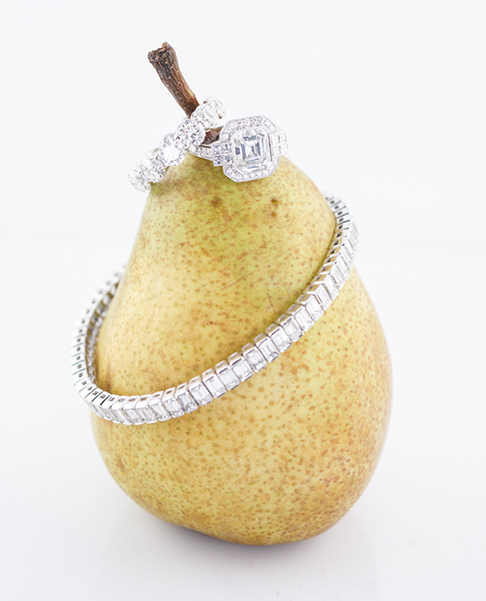 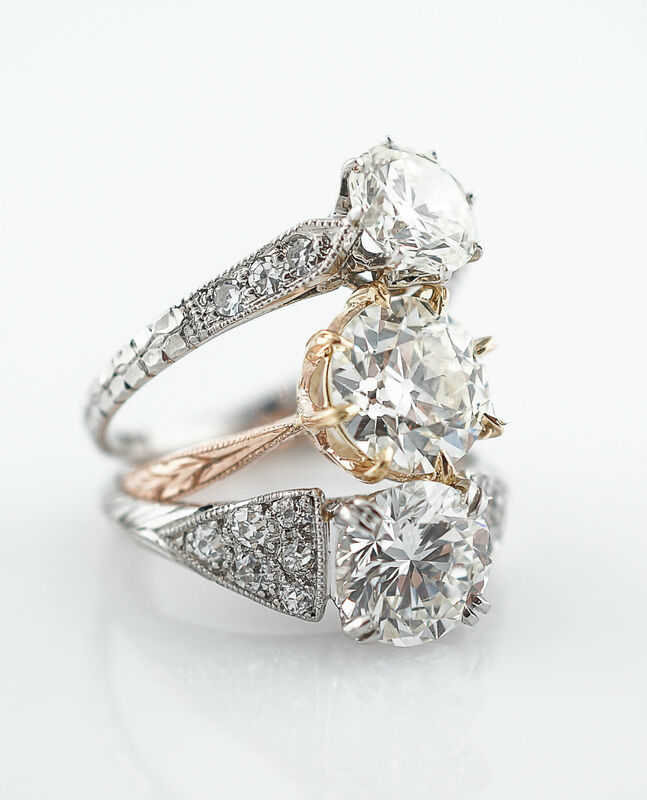 A perfect pairing for most any engagement ring!